Kells Academy is home to students from all over the world, including China, Ukraine, Vietnam, and Turkey. For many of these students, English may be a second or even third language, and in some cases, they may require some additional coaching and instruction before they are ready to tackle an English-language academic curriculum. Fortunately, Kells has robust resources available to support these students and help them achieve the level of fluency they need in order to excel in their English education at Kells Academy and beyond. Founded in the fall of 2017, the Kells Academy Language Centre is a dedicated language-learning campus, allowing students coming from abroad to focus on improving their English language skills with the help of trained ESL teachers before moving onto the main Kells campus once they’ve developed their fluency. Here’s how the Language Centre helps ESL students reach their potential. Proper assessment is an important part of the language-learning process, ensuring that students get the appropriate level of instruction and support they need to improve. Students applying to Kells undergo an assessment of their English language skills before they’ve even enrolled, with Kells’ language specialist providing an estimate of how long the student can expect to study at the Language Centre before reaching the level they need to move onto the main campus. The Language Centre offers seven levels of language learning, and students’ skills are retested every two months, making sure that they are studying at the appropriate level so that they can continue to improve. Although students typically take around two months to complete each level, the program offers a high degree of flexibility, with students able to advance at their own pace in order to better meet their particular needs. 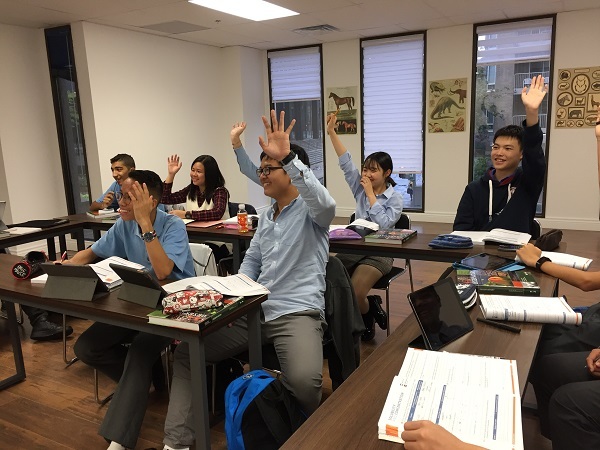 During their studies at the Language Centre, a 1:10 teacher-to-student ratio for English learning allows students to receive plenty of personal attention, feedback, and encouragement. The immersive nature of the program also helps language learners get up to speed quickly, with students required to observe an English- or French-only language rule on campus at all times. The beauty of the Language Centre is that students can improve their English skills while concurrently studying the curriculum at their level. This enables them to better understand the material while not falling behind in their schooling. By improving their language skills while also staying up-to-date with the appropriate Kells Academy curriculum, students are also ensured a smooth transition when joining their English middle school and high school peers on the main campus. Staff at the Language Centre are sensitive to the situation of international students, many of whom might be staying away from home without their families for the first time. Kells does their best to make sure students feel at home, however, and to integrate new students into the wider Kells private English school community. After-school activities like ESL Conversation Club, Arts and Crafts Club, and Writing Club give students opportunities to further their educational experience while socializing with fellow students. 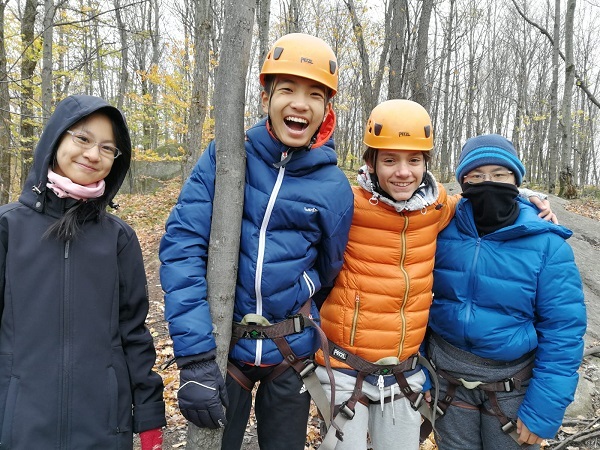 Language Centre students are also able to participate in Kells Academy’s sports programs along with students from the main campus, with options including soccer, rugby, swimming, badminton, rock-climbing, and volleyball, as well as seasonal winter tubing and ski trips. 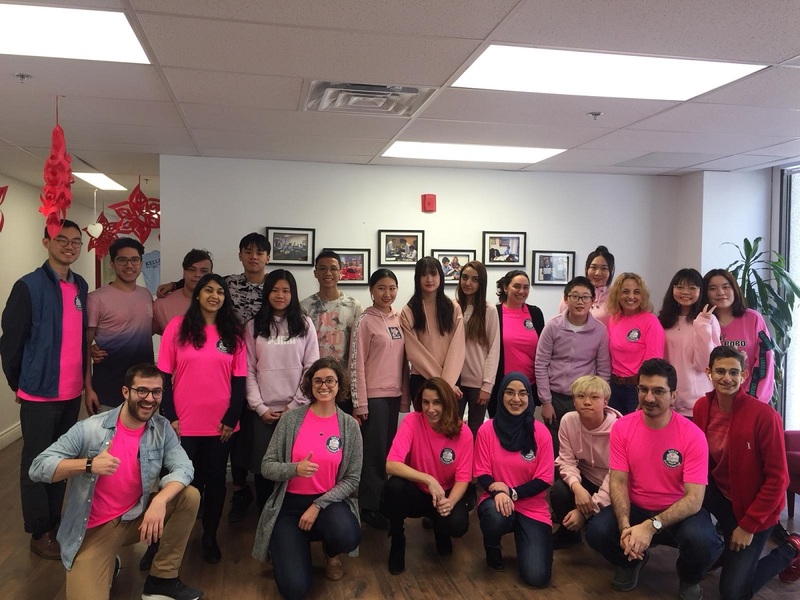 For international students coming to study in Montreal, the Language Centre offers a perfect introduction, allowing students to gain the abilities they need to thrive in their education, while giving them the time and resources to adjust to their new home away from home. Are you looking for an English academic high school or middle school that can meet your child’s language needs? Contact Kells Academy to learn more.